The holidays can be a wonderful time for family, but planning and prep can be stressful! 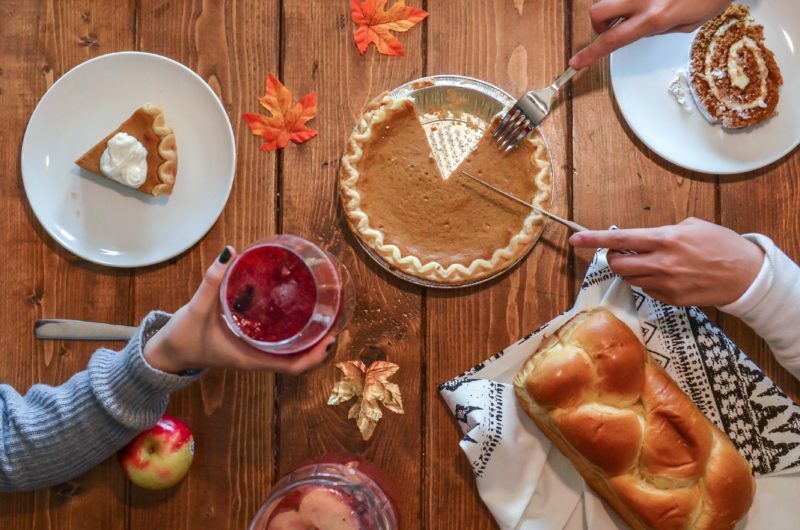 Here is a 10-day plan to get ready for Thanksgiving. Menu – This is a good time to plan your menu or connect with relatives about divvying up the food dishes. If you want to try a new recipe this year, now is the time to try it out! Kitchen – Clean out the refrigerator and cupboard. Make sure you have easy access to your nice serving dishes and plates. The kitchen will not stay spotless until Thanksgiving, but you can touch up counters, appliances, and floors the day before. You can read about other cleaning tasks for Thanksgiving here. Grocery shopping – Organize your grocery shopping by listing out nonperishables and perishables. Shopping for perishables this far in advance will make sure that you are not caught short on piecrusts or canned cranberry sauce! If you are buying a frozen turkey, then the selection may be better. Guest bedrooms – Clean each guest bedroom and launder guest linens. Make sure there are plenty of fresh towels and toilet paper. Cookware – Since you have your menu planned, you need to make sure that you have enough saucepans and casserole dishes. My family found out once on Thanksgiving morning that we did not have a potato peeler! Guest Bathroom(s) – Guests go through the bathroom cabinets to make sure everything is tidy and organized. It is always a nice to touch to have soap, shampoo, and conditioner in the shower. You may need to do a quick clean before the big day. Clean the rest of the house – The hard stuff should be done (kitchen, bathroom, and bedrooms) so this is the time to clean the common areas of the house, wipe baseboards, and dust ceiling fans. Decorate – After you have cleaned, you can place a fall wreath as a final touch on the front door. Make and freeze – Some menu items or parts of recipes can be made beforehand. Plan for cooking – Take some time to think about your cooking schedule and plan your timing for the day. Consider what dishes can be cooked together and the size of your oven. Beverages – Plan for drinks on the big day. Some ideas are ice tea, wine, soft drinks, or punch! Make sure you have enough glasses. Let the defrosting begin! – Make sure that the turkey is in a container that will catch drips. Finish the grocery shopping – Remember the second grocery list we made on Day 9? Time to shop for perishable food items. Defrost other dishes – Defrost any dishes or parts of dishes that you prepared on day 6. Beverage Prep – Set up a beverage area outside the kitchen so guests can serve themselves. Once you set up glasses, you can cover them with a towel to keep them dust and germ-free. Food Prep – Prepare the turkey, pre-chop ingredients like onions and carrots, and boil eggs. Bake Pies – This can be done the night before so that the pies have cooled. Clean up – Since the house has been deep cleaned recently, you can go through each room and tidy up. Wipe down the kitchen, sweep, and vacuum, and give the bathrooms a quick clean. Follow your schedule – Follow the schedule that you prepared on Day 5. Clean as you go – Cleaning the kitchen as you cook will keep the clutter out of your way. Enlist the kids with dishwashing. Enjoy! – You have spent a lot of time and effort preparing for this day with your family. Make sure you take time to sit and enjoy it. My family starts dinner each year by going around the table and saying what we are thankful for. What are you thankful for this year?